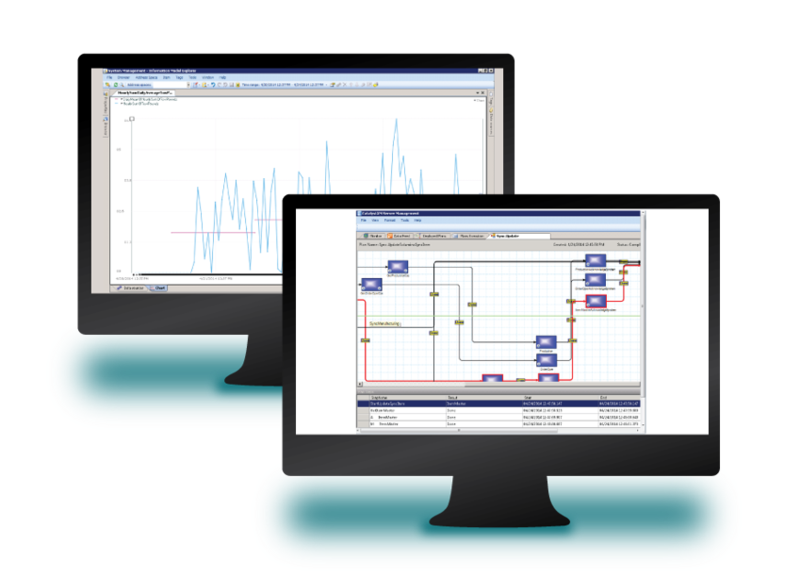 Synchrono® Demand-Driven manufacturing software synchronizes complex manufacturing environments in real-time, to drive business results. Synchrono® systems are powerful on their own, helping to manage constraints, improve flow and drive on-time production. When integrated under the Synchrono® Demand-Driven Manufacturing Platform, you can take Lean and demand-driven initiatives to new levels, transforming your business by synchronizing your workforce, methods, machines, materials, information and more, in real-time. Watch our video. Synchrono® demand-driven manufacturing software was founded to develop software to support Lean manufacturing and demand-driven environments. 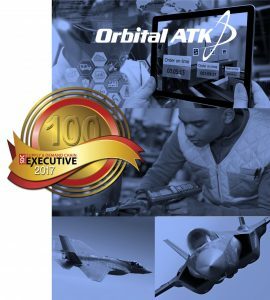 Over a decade later, we are leading the demand-driven manufacturing movement with technology that is robust and mature – while others are just starting to catch on. 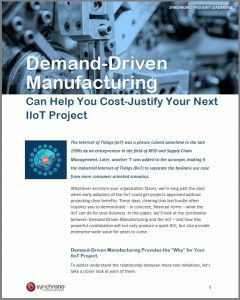 Today’s manufacturing environment is more competitive than ever, and more manufacturers are gaining an edge by adopting customer-centric, demand-driven methodologies and embracing the Internet of Things. 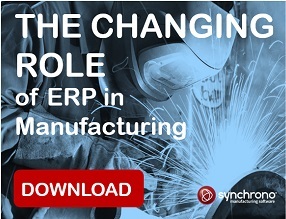 The Factory of the Future is enabled by Synchrono® manufacturing software. Our Demand-Driven Manufacturing Platform brings these concepts to life, connecting your enterprise and extended supply chain to promote a communication-rich, transparent environment that shares – and leverages information – to deliver unprecedented value. Manufacturing planning, scheduling and execution in a demand-driven enterprise starts by synchronizing workflow based on actual customer demand (or orders) rather than a forecast that quickly becomes obsolete. 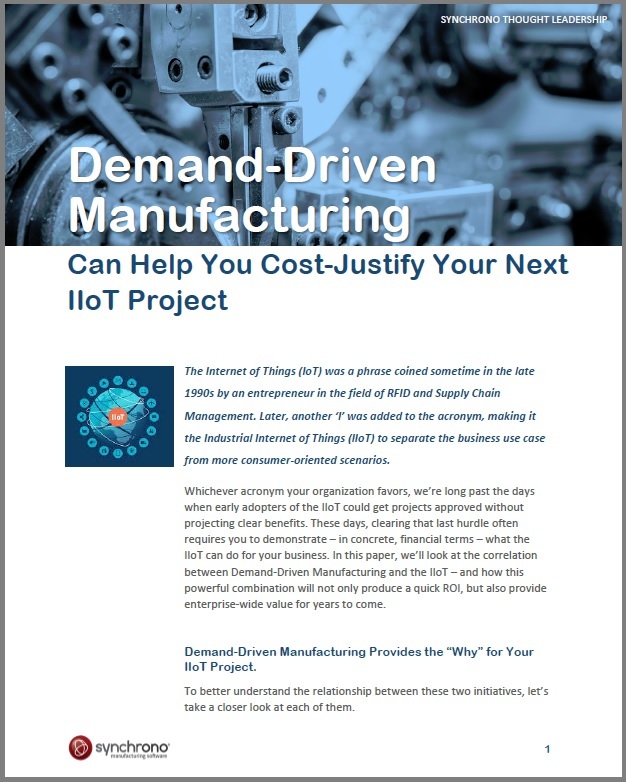 Demand-driven manufacturers have clearly defined priorities and manage against multiple considerations, including promise date, supply and system constraints. The result? Improved flow, increased capacity and a competitive edge. SyncManufacturing® demand-driven planning, scheduling and execution software synchronizes and prioritizes all resources vital to your internal operations and extended supply chain in real-time; managing constraints and dynamically adapting to drive flow and on-time production. Register for a demo. Synchrono manufacturing planning and scheduling capabilities were included in the Supply Chain Management Vendor Guide, 2014, released by Gartner Research. > White Paper: The Next Generation of Planning and Scheduling Systems. Inventory replenishment in a demand-driven, or pull-based manufacturing environment is based on what is actually consumed, resulting in inventory cost savings, shortened lead times and more productive supplier relationships. 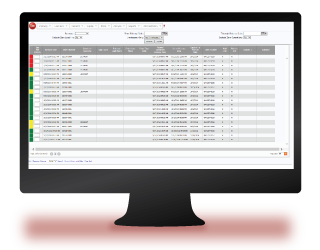 SyncKanban® pull-based inventory replenishment eKanban software sends real-time demand signals across your organization and extended supply chain, synchronizing demand and inventory in real-time. Request a demo and watch our video. 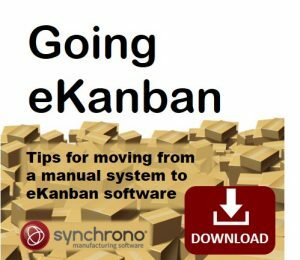 > Request a FREE trial of SyncKanban eKanban software. A real-time visual factory means multi-enterprise visibility that keeps every level of your organization and extended supply chain synchronized – in tune and in touch with priorities, status, equipment, constraints, alerts, and more. Everyone is on the same page with instant access to information to drive quality decisions and your continuous improvement efforts. 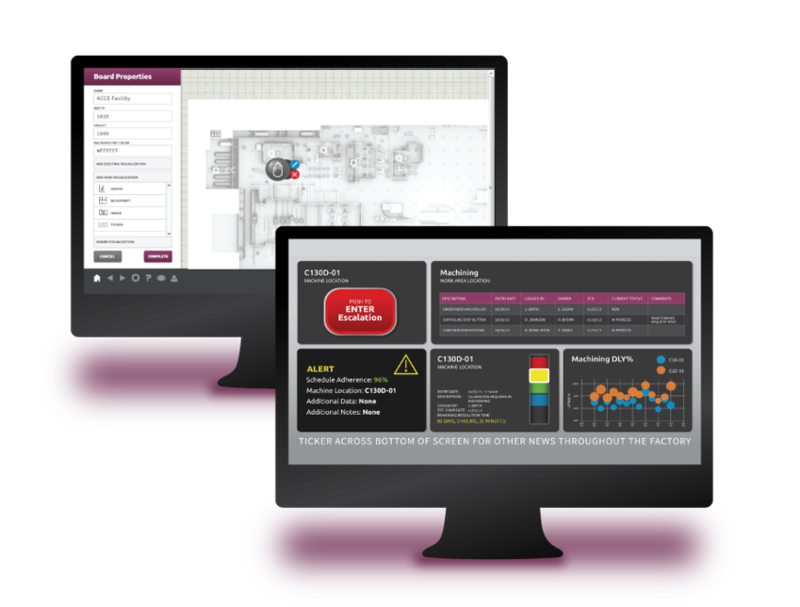 SyncView® real-time manufacturing visualization and communication system allows you to create personalized views containing actionable information collected from a variety of enterprise systems – empowering you to address quality and workflow issues in real-time. Watch our video. Operations and workflow management reaches new levels when you synchronize five core elements – your workforce, method, materials, machines and information. View your demand-driven manufacturing operation in its entirety by aggregating data from your enterprise systems and enable real-time workflow automation with the ability to quickly signal alerts and mobilize action. 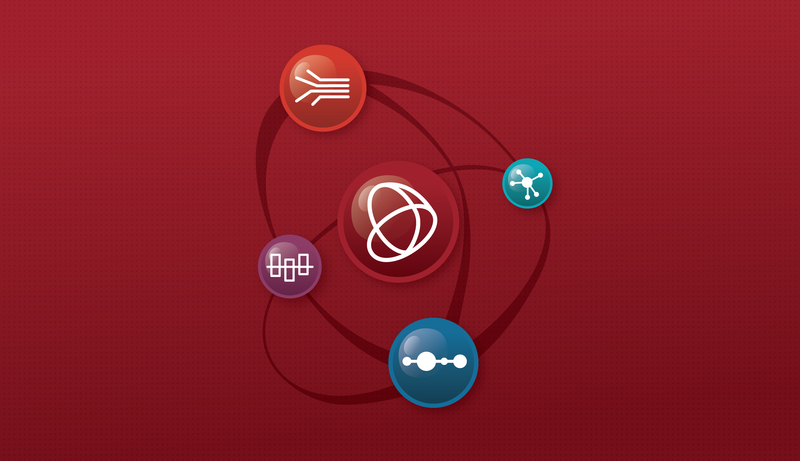 SyncOperations™ software enables the Internet of Things by gathering time-series process and event-based contextual data from every phase of production and aggregates information from Synchrono®, machine-level, and other enterprise systems. 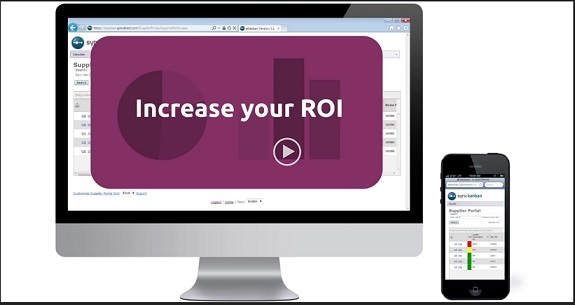 SyncView® provides a real-time window into that data with the ability to create personalized views and allow you to quickly drill-down into greater detail. It also displays alerts signaled by SyncAlert® alert management and escalation software, providing universal visibility to issues that impact production while mobilizing a rapid response based on standard operating procedures. Request a demo.